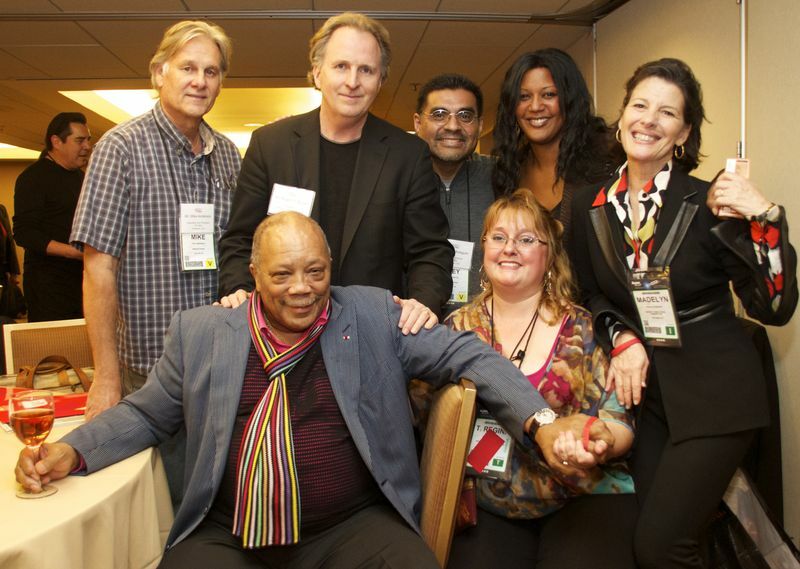 At this year’s NAMM (National Association of Music Merchants) show, President of Berklee College of Music, Roger H. Brown, and leaders from Berklee City Music Network Sites attended the Quincy Jones Musiq Consortium on music education. The forum included remarks from music education leaders, discussions on best practices and more. Check out this video from ABILITY Magazine, to hear more of what was said at the forum. From left to right: Mike Anderson, Executive Vice President, Project RYTMO; Quincy Jones; Roger H. Brown, President, Berklee College of Music; Joey Arreguin, Executive Director, Project RYTMO; Regina Nixon, Executive Director, The Phoenix Conservatory of Music; Charyn Harris, Director of Music Program, A Place Called Home; Madelyn Bonnot, Executive Director, Quincy Jones Musiq Consortium.